Enough Pie for Artists and the Community in Charleston, S.C.? 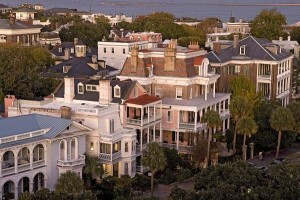 When I think of Charleston, S.C., I think of Lowcountry shrimp and grits at Martha Lou’s, the exquisitely preserved neoclassical Nathaniel Russell House and the possibility of spotting nearby resident Bill “No One Will Ever Believe You” Murray. But now residents are doing their part to put the city on the map for other reasons: art and the local creative economy. This entry was posted in Beyond Levitt and tagged 1600 Meeting Street, Bill Murray, Charleston, creative placemaking, Enough Pie, Gullah, Nathaniel Russell House on December 5, 2013 by Melissa Smith.